I was a little worried about ordering with Vista Print as I didn’t know anyone who had used them before. I’m so glad I used them as they turned out perfectly. 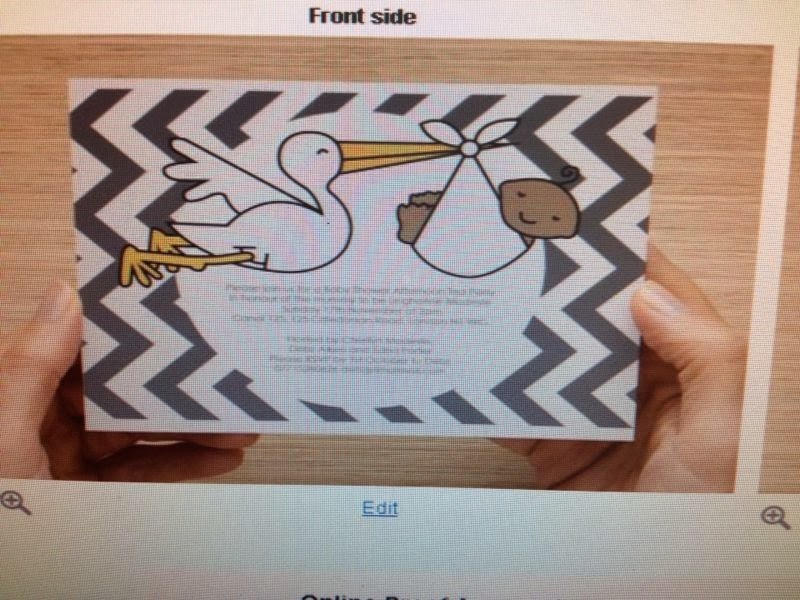 I ordered 30 invites and hunted down some discount codes in total including delivery it came up to £21.94, which I think is amazing for something personalised. 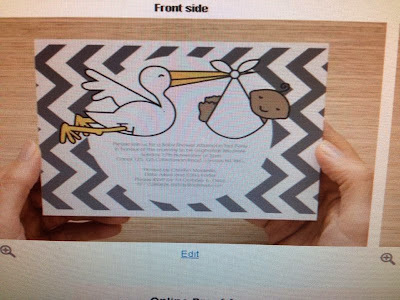 I was searching the internet for ages looking for baby showers invites. A lot of them were boring looking or rather expensive. I also notice that there was hardly any invites with babies of colour on them. So I decided I would design them myself. I am lucky enough to have my friend Gemma who works in graphic design so I asked her nicely if she could design them for me. Uploading the file was so easy! You just have to make sure that your file is high enough quality. After you've uploaded the file, they have you proof the front. Double check it to make sure everything is correct. Then you go through a bunch of pages where they try to sell you things, but you're under no obligation to buy. Just keep clicking through until you get to the page with shipping information. I think their cheapest shipping is 21 days, but I received them in about 10 days. The only complaint I have about Vista Print is you get daily promotional emails which does get annoying at times. 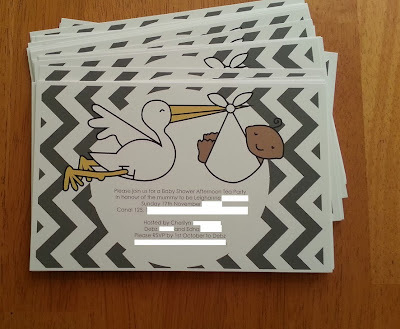 Overall I am really glad I went to Vista Print and recommend them to anyone on a budget.